Yet, they are frequently facing difficult monetary challenges in this country. The contribution of the military service-members towards the welfare of the nation is undisputable. Yet, they are frequently facing difficult monetary challenges in this country. As per the latest report published by the Consumer Financial Protection Bureau (CFPB), military officials and veterans are under frequent financial attacks. The CFPB has been receiving several complaints from the military workers since the mid 2011. Although the bureau has been able to resolve several financial issues successfully, yet the number of complaints has increased during the last one and half years. Check out the 5 financial challenges that the military service-members faced during the first 3 months of 2013. 1. Problems in modifying loans: Almost 50 percent of the complaints were regarding mortgage loans. Nearly 58 percent of the complaints were surrounding loan modification problems. Many military service-men faced difficulties in saving their homes from foreclosure. Nearly, 24 percent of the complaints were against the loan servicing firms. 2. 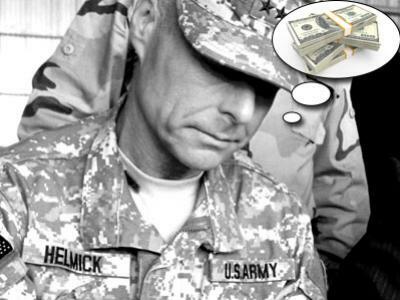 Trouble with credit reports: Several military officials faced problems with their credit reports. Nearly 63 percent of the complaints catered to wrong information on credit reports. Complaints were registered against the inquiries of the credit reporting agencies in attempting to give the correct information. Some of the officials even complained that they were not able to obtain credit reports. 3. Difficulties with educational loans: Around 7 percent of the complaints received by the CFPB were regarding student loan debts. It is true that federal programs have made it comparatively easier to finance education, yet a large number of military workers are facing problems in repaying the loans. Military service-men are facing more problems with regards to private student loans since they have less favorable payment options. The only consolation is the fact that the CFPB has been able to resolve some cases fruitfully with the highest median financial relief was awarded at $1,866. 4. Anxiety over credit card bills: Around 15 percent of the complaints were against the credit card industry. Several military officials were simply disgusted with the billing errors and disputes. Incorrect interest rates and fees contributed to around 9 percent of the complaints. On the other hand, 8 percent of the complaints were about the problems that credit card issuers had in reporting the right information. 5. Problems in banking transactions: Trouble with opening and closing bank accounts covered nearly 16 percent of the complaints. As per the report, military service-members were not satisfied with the kind of service they got from the banking industry. Several officials had problems in tackling deposits and withdrawals in banks. Others had difficulties with paying the minimum balance fees and over draft fees. Finally, if you or your family members are working for the Armed Forces, then register a complaint regarding financial issues at the official website of the CFPB. Protect yourself from bad financial practices by advocating your rights. Register a complaint against a financial organization if required.